– an emphasis on getting out of the car to enjoy those unique locales. authenticity mixes with a little kitsch in the Deserts Region. Arrowhead is a must-do in the warmer months. watery tour by renting a kayak to discover the tufa towers bordering Mono Lake. other world-class American cities such as Las Vegas, New Orleans and Miami. where the drivers will be staying during the kick-off festivities. Historical Society, which opens a new museum in Fall 2009.
itineraries. 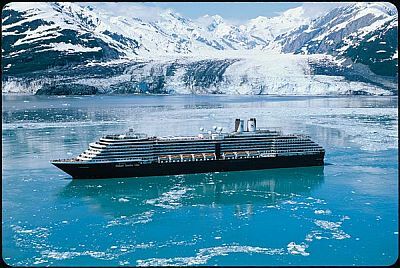 The Alaskan Adventurer joins the popular Alaskan Explorer, Glacier Discovery and Glacier Bay Inside Passage itineraries. sail by the twin Sawyer Glaciers in the narrow, 26-mile Tracy Arm fjord. providing guests with a full day and evening in Alaska‘s major city. fur trading influence since 1792 as the first capital of Russian America. Kodiak, Juneau and Victoria, BC. in 2010, sailing a total of 63 seven-day Alaskan Explorer cruises roundtrip. September 18. They visit Juneau, Skagway and Ketchikan, Glacier Bay National Park and Tracy Arm fjord. variations–September 12 and 19 to conclude the season. calls at Haines in place of Skagway. double occupancy for a seven-day cruise and $2,099 for a 14-day sailing. in motion pictures and television shows. may be made by calling 209-984-3953.
other goods out of the foothills. in more than 100 films and television shows over the years. Foundation, the California State Railroad Museum Foundation and others. to operation at Railtown1897 SHP in 2010.
international airport. This new service is the first offered between these two markets; with Allegiant offering introductory one-way fares as low as $39. hour and 15 minutes. For reservations, call 702.505.8888; or see their web site at www.allegiantair.com. The May 3 launch coincides with Monterey Convention and Visitors Bureau’s new “Smile Recovery” packages, available through May 31.
time,” said San Francisco Mayor Gavin Newsom. the Official Card Partner of the SFCVB. driving, flying and working machines from the 20th and 21st centuries. military aircraft will be among the mesmerizing displays. 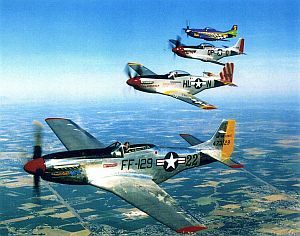 50’s, exceptional vintage warbirds, and sport and ultralight aircraft. military training jet — rides range from $40-$300. an entire a Lilliputian factory. like spool donkeys and Buffalo Springfield steamrollers. headlined by the “King of Dieselbilly” Bill Kirchen. construction for public safety purposes. is a gathering spot for residents, college students and visitors alike. The market occupies six blocks on Higuera Street, between Osos and Nipomo Streets, with many of the shops, pubs and restaurants on both sides of the street open too. Entertainment ranges from local dance groups, live bands, solo artists, climbing wall, and bounce house. BBQ, one of the original barbecue vendors at the Farmers Market. For more information about San Luis Obispo‘s Thursday Night Farmers Market, visit www.downtownslo.com. To help plan a getaway to San Luis Obispo County, California‘s Natural Escape, call the San Luis Obispo County Visitors & Conference Bureau at 1-800-634-1414 or visit www.SanLuisObispoCounty.com.